It is a beautiful crocheted doily rug made with rope. I’m going through clothes right now, and once again I have old T-shirts that really should have their life ended … So.. 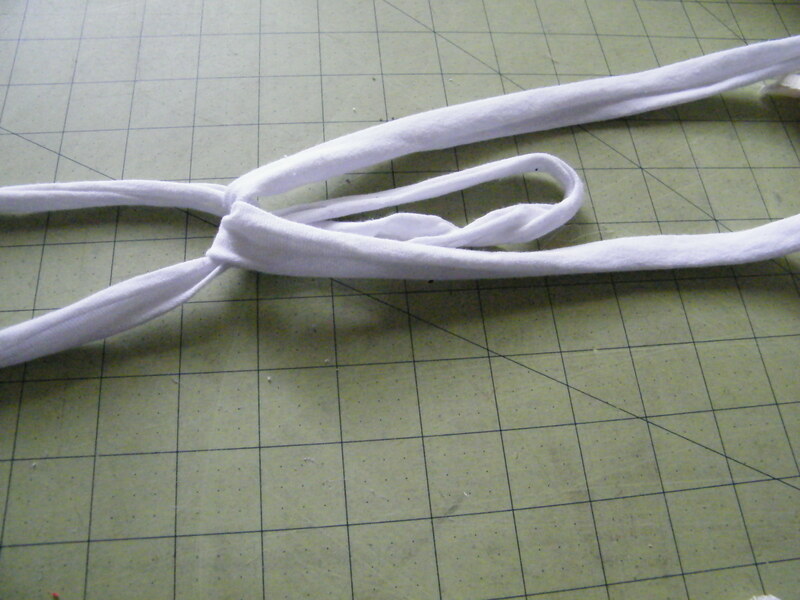 I cut them into “tubes,” from side to side across the body of the shirt. 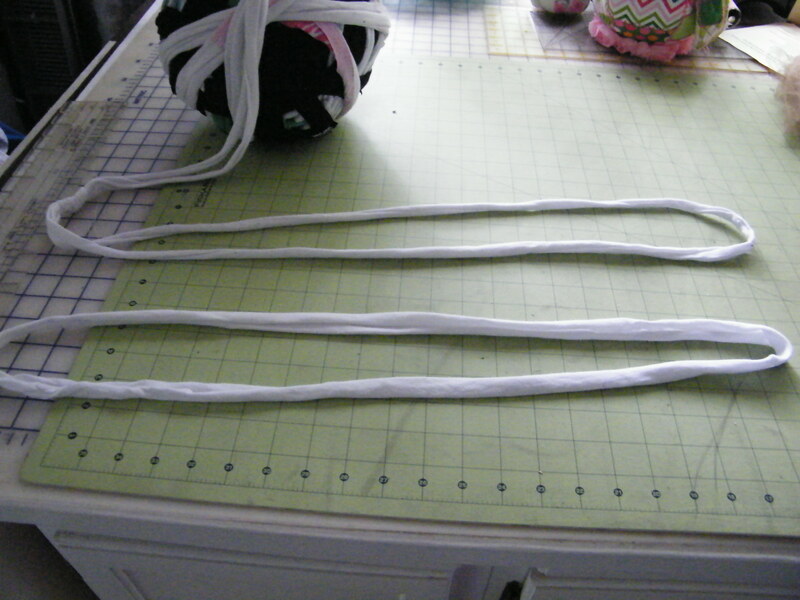 Lay the new tube (the one you are adding to the length) on top. 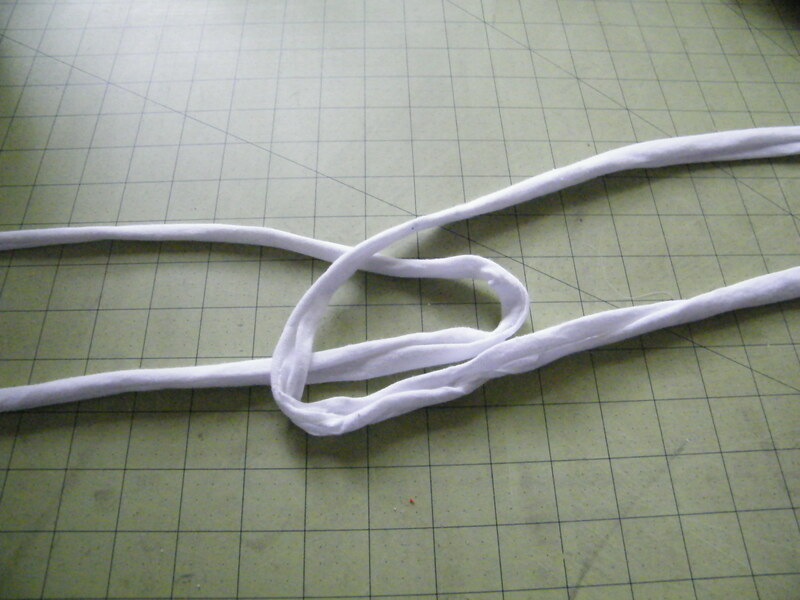 Pull the new tube through the bottom tube and then p through itself. 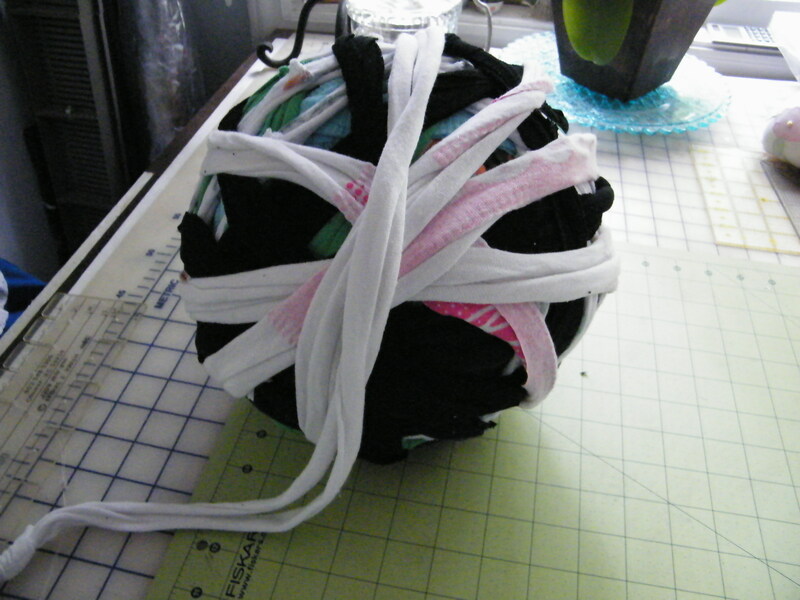 Keep adding and wind into a ball. Now back to the original idea at the top… crochet these t-shirt scraps into the lace doily pattern for a rug! I can’t wait to start!!! 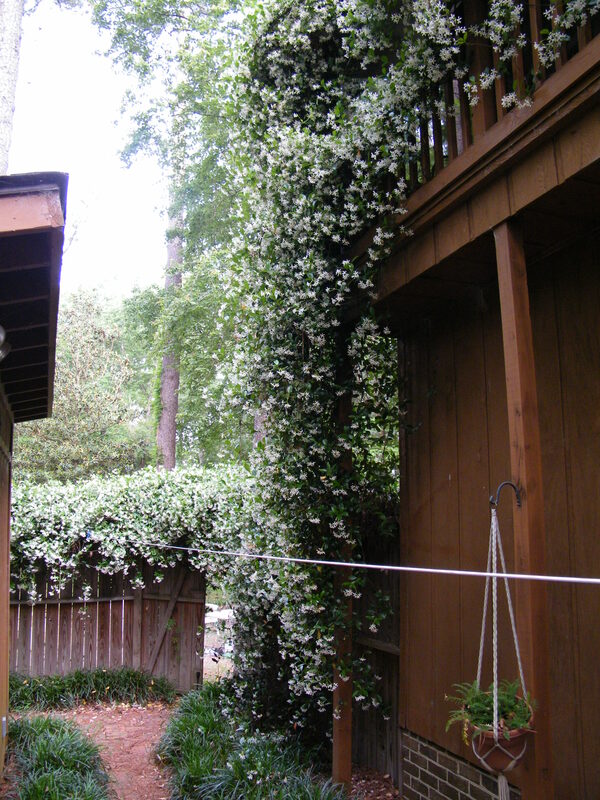 I also have to share these photos of my jasmine this year..
Jane’s rug is amazing. Wondered what size crotchet hook she used until reading she uses her hands!!! Love your colorful rug too! 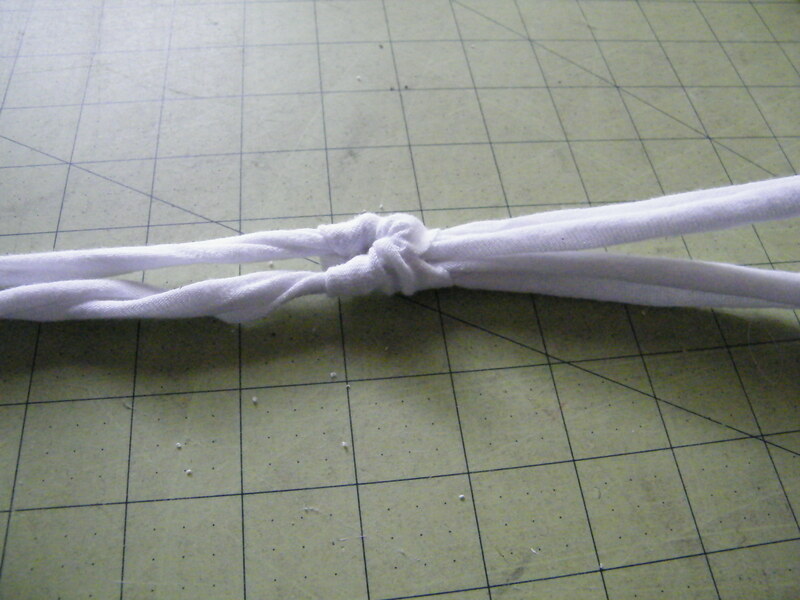 Think your joining tip will work for the woven cotton strips I use for my rugs…thanks for the idea. Looks great! The kitchen re do in previous posts is terrific. First, I LOVE the tee shirt rug. What a great project and thanks so much for the very clear how-to. 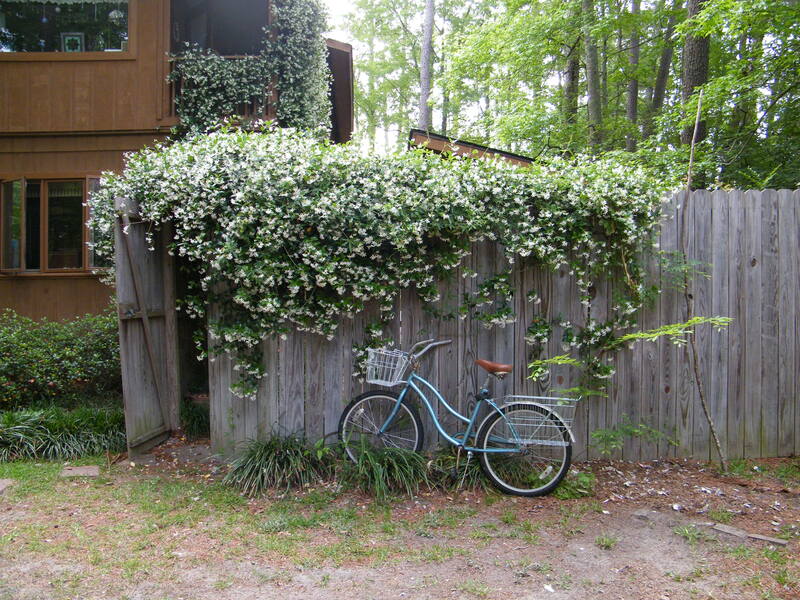 Second, your jasmine and house and yard just take my breath away. 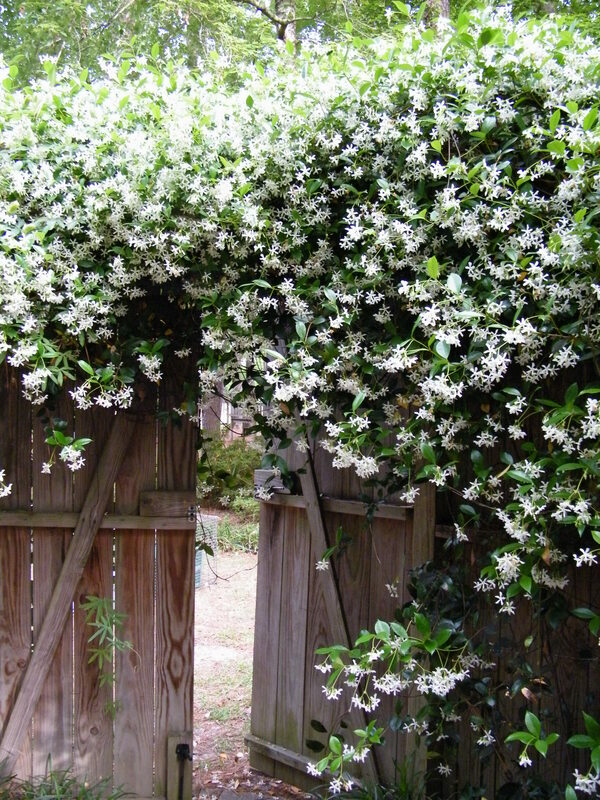 The sweet perfume of those flowers must make you feel like you are in heaven. I just keep scrolling over the pics. Just beautiful. 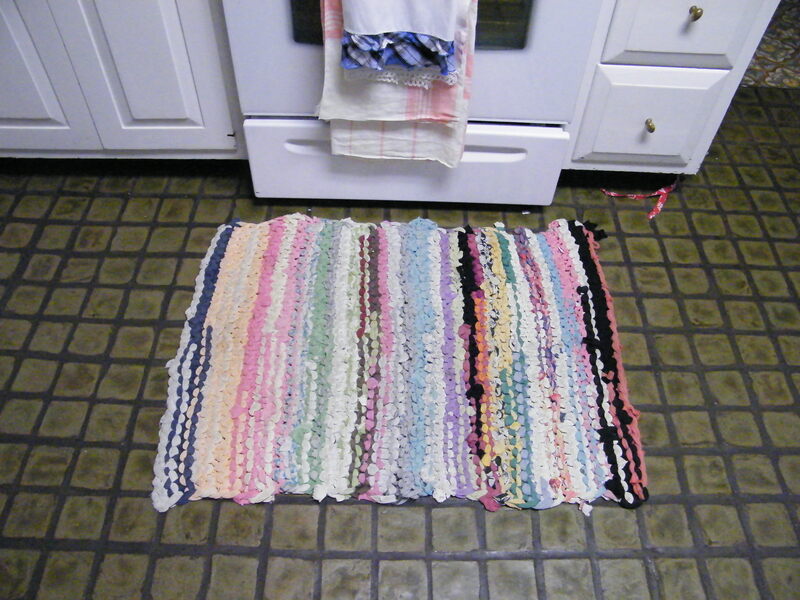 Love the idea of recycling old t-shirts into cool rugs! 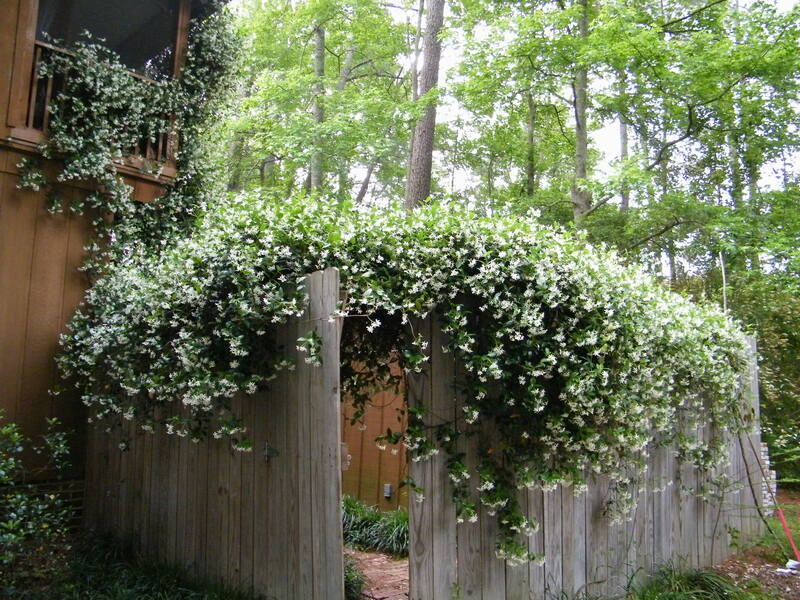 And your jasmine is beautiful!